Winemakers and ardent wine lovers wax poetic about the fickle and temperamental red grape variety, much as the lead character in the movie Sideways, Miles Raymond, when he declared that only the most patient and nurturing growers can “coax” Pinot Noir into its fullest expression. Compared with other noble red varieties such as Cabernet Sauvignon, a grape that virtually grows everywhere without much fuss, Pinot does require “coaxing” down from clone selection to disease management in the vineyards to colour extraction in the winery. In our Asian Pinot Noir Masters, the results showed that indeed the most patient and meticulous wineries are rewarded in crafting top Pinots. Judges from left to right: James Kerr of Berry Bros & Rudd (observing), Sarah Heller MW; Amanda Longworth, head of marketing and wine services at Berry Bros & Rudd Hong Kong; Darius Allyn MS; Natalie Wang, managing editor of the drinks business Hong Kong (observing); Jude Mullins, International Development Director of WSET; Henry Chang, beverage manager of China Club; and Ivy Ng, publisher of the drinks business Hong Kong. The Pinot Noir competition proved to be the most polarising judging session among all our Asian Masters series so far, with drastic variations in overall quality. The best should exemplify all the lovable traits that make people laud with Pinot including its delicate, lingering aromas and sweet juicy berry fruit, yet the worst (sadly in no short supply) demonstrate every fault that one can find with the grape; ranging from the extremes of bland and thin to overly alcoholic examples that lack tension and are prone to flabbiness. With this in mind, our judges sat down to find the happy medium that best defines this most tricky of varieties. Unlike Cabernet which is described as a “survivor” by Sideways‘ Miles, Pinot is delicate, and selective with soil types and climate. Generally, the best quality Pinot Noir are found on calcareous soils and in cool climates. If too cold, however, the grapes will struggle to ripen, rendering green and weedy aromas but if where it’s planted is too hot, the wines can be jammy and alcoholic. In addition to clone and rootstock selections, in the vineyard, “pruning in the right way and at the right time to get balanced fruit set; and avoiding issues with pests humidity” are ever-present challenges, noted Darius Allyn MS, proprietor of Wineworks Consulting Services. In terms of oak, “it generally needs to be applied judiciously so as not to overpower the delicate fruit character of the wine,” Amanda Longworth, head of marketing and wine services at Berry Bros & Rudd Asia, added. As Heller wryly put it: “Every ambitious winemaking region in the world that is cold enough (or thinks it is) is trying its hand at Pinot, along with some regions that were previously too cold for red grapes,” the reality is Pinot Noir hit its zeitgeist with the ‘Sideways Effect’, especially in New World regions. 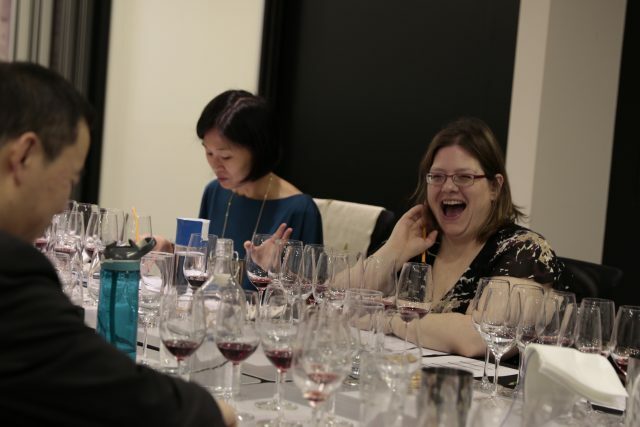 the drinks business Hong Kong Asian Pinot Noir Masters is our latest varietal judging of our successful Asian Masters series. A departure from traditional judging wines by region, the competition assesses wines purely by grape variety. Divided only by price bracket and, for ease of judging, whether the style was oaked or unoaked, the blind tasting format allowed wines to be judged without prejudice about their country of origin. Wines were scored out of 100, with those gaining over 95 points being awarded the top title of Master. Those earning over 90 points were given a Gold, those over 85 points a Silver and those over 80 points a Bronze. 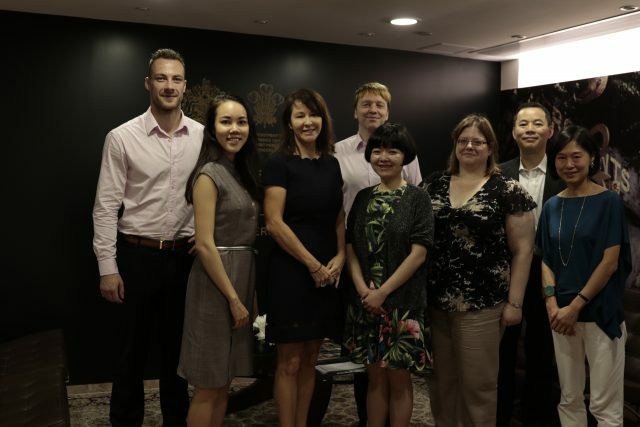 The wines were judged by an expert panel of five judges including a Master of Wine, a Master Sommelier, Hong Kong’s top wine buyer and educator and sommelier on 20 September at Berry Bros & Rudd’s Hong Kong office in Central. This report only features the medal winners. In the US alone, plantings of Pinot grew to 40,000 acres in 2012, eight years after Sideways‘ release, up from 24,000 acres when the movie was made, wrote Jancis Robinson MW in her book The Oxford Companion to Wine. In 2016, California crushed 253,995 tons of Pinot Noir, compared to 70,062 tonnes crushed in 2004, based on figures from the California Grape Crush Reports. The wine is made in those cooler parts of the US moderated by cool ocean influences including Sonoma Coast, Carneros, Chalone, the Gavilan mountains of San Benito, the Central Coast of California, but most notably in Oregon, to such an extent its wine reputation rests largely on the red grape variety. As its Pinot-making credentials rose it was no wonder that Burgundians were among the first foreign investors dipping their toes into Oregon. Burgundy producer Domaine Drouhin, which has just celebrated 30 years in Oregon, for instance, has been making elegant Pinot from Willamette Valley’s Dundee Hills for decades. Its Domaine Drouhin Dundee Hillsd Pinot Noir 2010 won the top accolade of Master at our competition for what the judges called its typicity, elegance and complexity. The wine “had the added delight of an emerging savoury, tertiary character that really showed the quality of the wine,” said Longworth in praise. Equally impressed with the wine was Jude Mullins, WSET international development director. It is a wine where, “regional Pinot Noir character melded with classical varietal style to produce an outstanding wine”, she commented. Similarly, Jackson Family Wines’ Gran Moraine Pinot Noir from the Yamill-Cerlton AVA in Willamette Valley was awarded a Gold medal, proving the prowess of Oregon Pinot, although both wines are in the higher price bracket of HK$400-HK$799. But in terms of value, New Zealand, Australia and Chile are by far the top performers. New Zealand’s Martinborough, Canterbury, Marlborough, and Central Otago are proven prime sites for Pinot Noir, the country’s second most popular variety after Sauvignon Blanc. Boutique winery Luna Estate from Martinborough is a good example of a producer making elegant and balanced Pinots. Its single vineyard Eclipse Pinot impressed the judges with its abundant berry fruits, savouriness and its transparency. Although Pinot is naturally not the first red grape to be associated with Australia, increasingly fine examples are made in cooler regions of the country from Tasmania, Geelong, Yarra Valley and Mornington Peninsula. Yarra Valley alone netted four Gold medals, three for De Bortoli Wines – 2016 Villages Pinot Noir, 2015 Yarra Valley Estate Grown Pinot Noir and 2009 Riorret Lusatia Park Pinot Noir – and 2015 Santolin Wines Pinot Noir ‘Syme on Yarra’ Vineyard. The 2016 De Bortoli Villages Pinot Noir was one of a couple of the best value Pinots, costing less than HK$150 (US$19), but which gained high accolades. In addition, judge Henry Chang, beverage manager of the eclectic private restaurant China Club, noted the fruity and more contemporary style of Pinot Noir would be a good match for time-constrained diners at high-end establishments and suggested a riper style of Pinot might find a measure of popularity in markets like Hong Kong. “This is not only happening for lunch, but also an interesting topic about styles of wine, ‘Classic or Modern’,” he said. “If you ask people this question, they will tell you that they would rather choose the classic and traditional wine. Opening the bottle 45 minutes to an hour before consuming will increase the enjoyment of the bottle of wine together with well-matched food. In reality, who likes spending three to five hours on a meal? And how many fine dining restaurants will allow them to do so in Hong Kong?” Chang asked rhetorically. Continuing, he emphasised the difference of matching wine with Chinese and western cuisine. “For western cuisine, food is served course by course, all flavours are individual so this is easier to do the wine pairing. For Chinese cuisine, almost nobody will enjoy their food served course by course. When there’re different flavours of food on the table, sweet, hot and spicy, strong and mild…etc. Most of our guests they will enjoy the full bodied and rich Pinot with their Chinese dishes,” listing the De Bortoli Estate Grown Pinot Noir and Cono Sur’s 20 Barrel Limited Edition Pinot Noir as examples of this riper style. While referring to Santolin Pinot, Allyn lauded it as the archetypal example of the grape. “If I had to say, the first that comes to mind was Santolin ‘Syme on Yarra’. I found it well made and an expressive Pinot Noir with an archetypal profile. They are a young family winery in Yarra Valley, but focusing on small, crafted production with minimal intervention. So far so good for their wines to date,” commented the Master Sommelier. In other parts of Australia, Adelaide Hills’ Wakefield Taylors Pinot Noir 2016 despite being young was already showing well in the blind tasting, and took home a Gold medal for both its fruitiness and elegance; and especially as it costs less than HK$150. In South America, Pacific-cooled wine regions such as Casablanca and Limari in Chile are making marks on the Pinot stage. The 2015 Pinot Noir from Cono Sur’s top premium ’20 Barrels Limited Edition’ range is an expressive example of Casablanca’s potential in Pinot, and was recognised for that by the judges with a Gold medal. It would be remiss not to discuss the fine examples of Pinot coming from Europe. Although lacking Champagne made from Pinot this time in the competition, the still wine samples submitted amply attested to Germany, Switzerland, Italy and even Austria’s Pinot Prowess. In addition to go-to Burgundy for Pinot, a few of the judges highlighted Germany, Switzerland and Italy’s Alto Adige for their potential in growing honest Pinot faithful to their respective terroirs and the grape’s typicity. Most impressively in the competition, a Swiss Pinot from Domaine Jean-Rene Germanier SA in the sun-trapped Valais, bordering France and Italy, earned heaps of praise from the judges with the top honour of Master. Praised by Heller as the “perfect sensuous package that Pinot Noir should be”, the red wine had, “a perfumed, almost musky character, lovely cedar and mushroom savouriness and best of all, a luscious, slippery texture,” she explained. Germany Pinot Noir, increasingly, is seen as a more accessible alternative to ever-more expensive Burgundy. The grape known locally as Spätburgunder has become the country’s third most planted variety only after Müller-Thurgau and, of course, Riesling. Baden and the Palfz are the top regions generating buzz for Pinot and Weingut Burg Ravensburg’s Lochle Pinot Noir VDP Grosses Gewachs 2013 from Baden impressed judges with its fine structure and brightness. “With warmer climate these days, they produce some surprisingly delicious Spätburgunder. In places there’s no longer the issues of ripeness, especially in Baden,” Allyn explained, a point echoed by Longworth who added as well that it was a place, “where quality wines are in hot demand, where you can get wines that have a great combination of concentrated fruit, finely structured tannins and zesty acidity”. 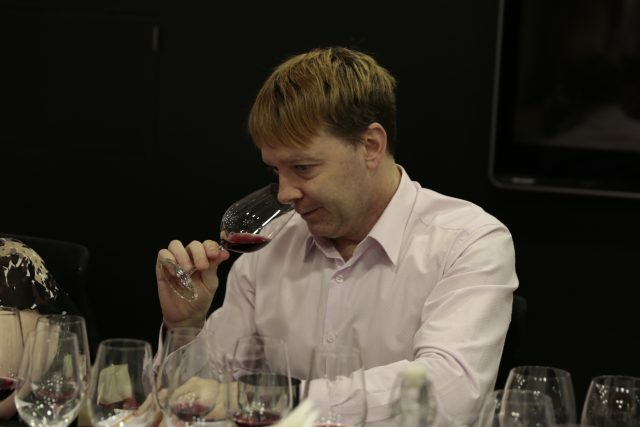 Due to German Pinot Noirs’ small export quantity, “unfortunately, though we don’t see many in Hong Kong. The best quality ones are often snapped up locally or by UK buyers,” she said. Click through the pages to see full results. Special thanks to Berry Bros & Rudd for providing the venue for judging.